She had the will to write as a woman. And I had read that in no other book. Ruth Gruber’s groundbreaking study of the work and legacy of Virginia Woolf—an enduring feminist analysis pairing two of the twentieth century’s most extraordinary writers is now out as an ebook published by Open Road Integrated Media. Here’s the back story. In 1932, Ruth Gruber earned her Ph.D.—the youngest person ever to do so—with a stunning doctoral dissertation on Virginia Woolf. Published in 1935, the paper was the first-ever feminist critique of Woolf’s work and inspired a series of correspondences between the two writers. It also led to Gruber’s eventual meeting with Woolf, which she recounted six decades later in Virginia Woolf: The Will to Create as a Woman. Described by Gruber as “the odyssey of how I met Virginia Woolf, and how her life and work became intertwined with my life,” Virginia Woolf is a clear and insightful portrait of one of modern literature’s most innovative authors, written by one of America’s most remarkable journalists. 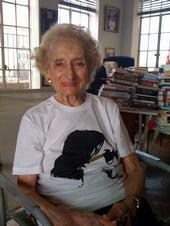 Gruber is the author of 19 books, including the National Jewish Book Award–winning biography Raquela (1978). She also wrote several memoirs documenting her astonishing experiences, among them Ahead of Time (1991), Inside of Time (2002), and Haven (1983), which describes her role in the rescue of 1,000 refugees from Europe during World War II, and their safe transport to America. Gruber lives in New York City. The ebook is available from Amazon.com, Apple iBookstore, Barnesandnoble.com, Google eBookstore/IndieBound, Kobo Books, Sony Reader Store, and OverDrive. The British Library has gone modern. The library has launched an ‘eBook Treasures‘ series that allows users to explore some of the British Library’s most treasured manuscripts in detail. Included are text, video and audio interpretation. The eBook Treasures are viewable in full-screen high-definition, with realistic page-turning capabilities. Works by Shakespeare, Jane Austen and Lewis Carroll are on the list of available eBooks. Seventy-five titles will be available within the next two years. eBook Treasures are available for download worldwide from the iBookstore. Prices range from £3.99 to £14.99. Once downloaded, the ebooks can be read offline on the iPad, iPhone (3GS and 4) and iPod Touch (3rd and 4th generations). 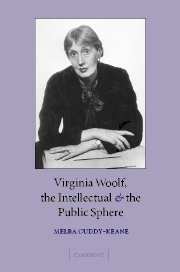 Last year, when I was writing “Virginia Woolf in the Cyber City: Connecting in the Virtual Public Square ,” I read Melba Cuddy-Keane’s book, Virginia Woolf, the Intellectual, and the Public Sphere (2004). In it, she discusses Woolf’s idea that most books should turn to dust after about six months unless they are deemed worthy of a second printing. Felsenthal, too, quoted Cuddy-Keane. She also described a 1927 radio discussion between Leonard and Virginia Woolf concerning the question “Are Too Many Books Written and Published?” The scripted discussion, Virginia’s first of three on the BBC, was broadcast on 15 July 1927. In it, Leonard argues in favor of hand-made books, criticizes the mass appetite for popular fiction and laments the death of quality. Virginia took a more democratic approach to book publishing. In her diary entry of 2 October 1932, she wishes for “a system that did not shut out.” If one must have a system, Woolf believes that system should be inclusive of all individuals and all ideas (Cuddy-Keane 57). Cuddy-Keane also describes Woolf’s visit to the Lewes library in October 1940, which Woolf notes in her diary by saying she “was glad to see [her book] Common Reader all spotted with readers at the Free Library” (108). Woolf wanted readers to use her books and engage with her writing. The idea that her book of essays was dotted with spots pleased her, as they indicated that people felt comfortable with the physical book—and perhaps with her ideas as well. 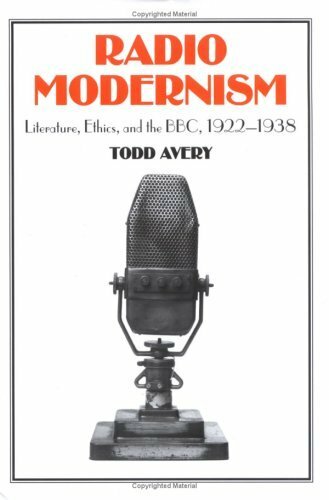 In Radio Modernism: Literature, Ethics, and the BBC, 1922-1938 (2006), Todd Avery points out that Virginia counters Leonard’s argument that publishing has become “shoddy” by maintaining that such shoddiness was a necessary result of increased literacy, which actually resulted in a more egalitarian world (53). Avery discusses the way Virginia Woolf’s participation in mass media broadcasts made it possible for her to cross the boundary between high and mass culture. 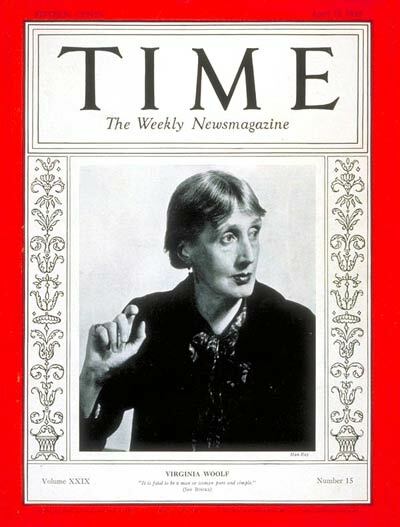 For Woolf, mass media created common ground, just as public libraries did. Both are places of freedom where readers and thinkers of all classes and all interests could find the resources they needed to expand their thinking, then engage in active intelligent literary discourse. Woolf thought books should be as cheap and as easy to purchase as a pack of cigarettes, according to Avery (54). Ten years later, in 1935, Penguin had the same idea — and began selling quality paperbacks at sixpence apiece, the price of a pack of smokes. Two years ago, in response to the recession and the company’s 75th anniversary, Penguin launched its “Popular Penguins” classic titles series in Australia, New Zealand and India. Priced at AU$9.95 per hard copy, the series includes Woolf’s A Room of One’s Own (1929) and To the Lighthouse (1927). 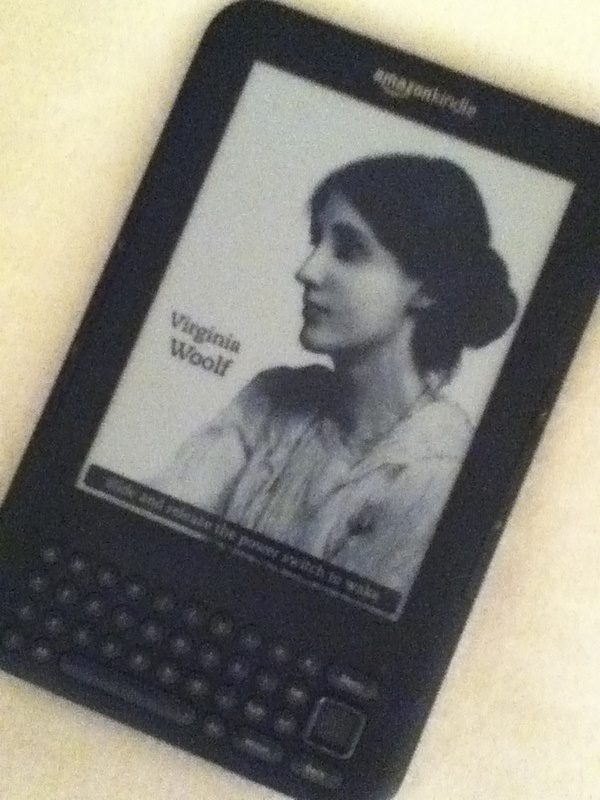 I think Woolf’s philosophy of democratic inclusiveness can be applied to the world of e-books today. 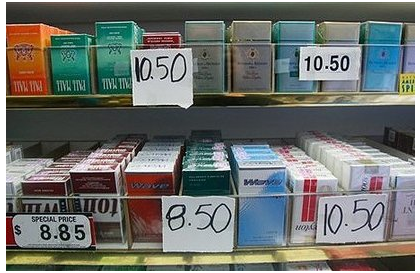 The $9.99 standard price for a digital best-seller on Amazon.com is nearly identical to the price of a Popular Penguin, and both are less than the $11 price of a pack of cigarettes in New York City, for example. In some cases — in some of the best cases — e-books are free. 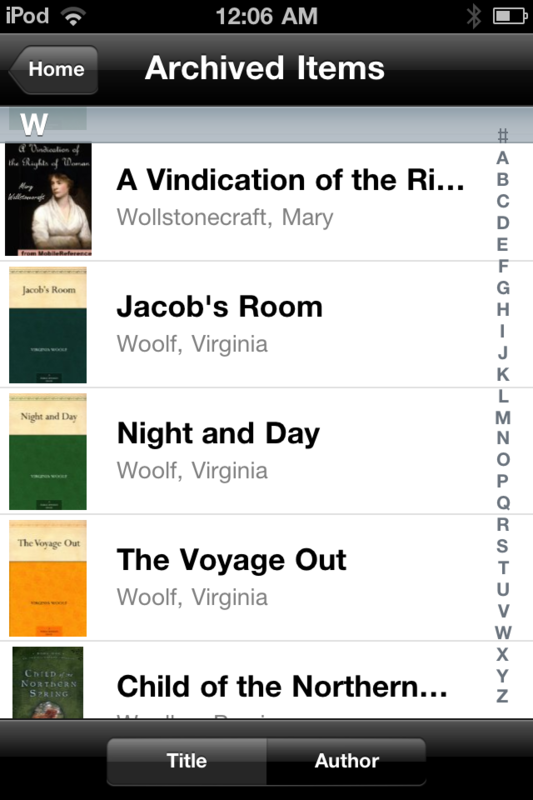 From Amazon, iTunes, Barnes and Noble and other sources, Woolf classics such as The Voyage Out, Night and Day and Jacob’s Room can be downloaded at no cost. 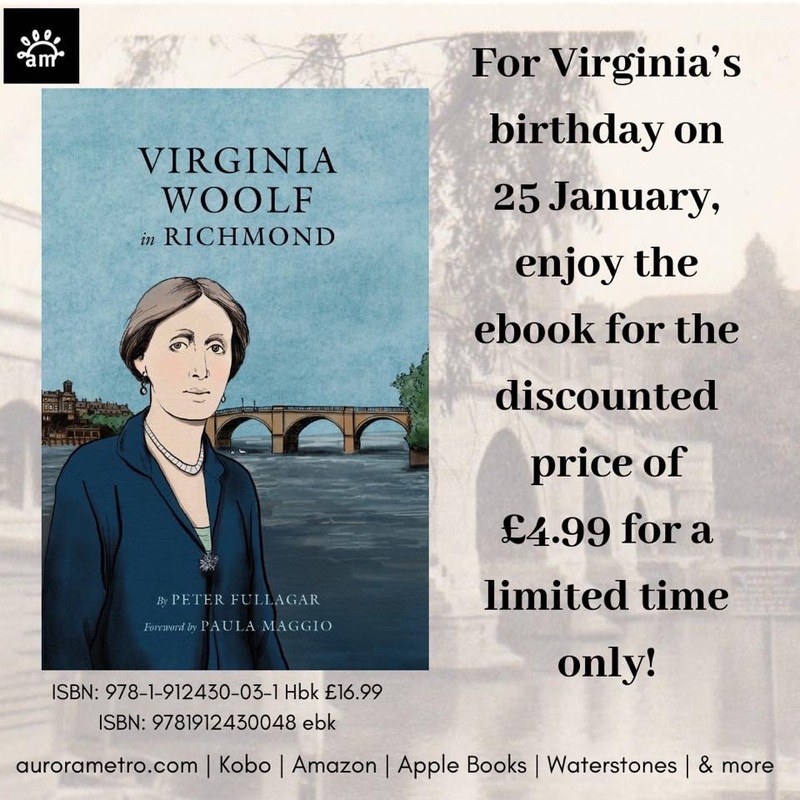 Other volumes of Woolf’s work are priced low — from 99 cents for Monday or Tuesday to $9.99 for A Writer’s Diary. You don’t necessarily need a dedicated electronic reading device to read digital books either. You can download free apps to read e-books on your laptop, desktop, and/or smart phone. These include iBooks, the Kindle app, the NOOK app and others. The popularity of e-books has grown this year. They now make up 9 to 10 percent of trade-book sales, and publishers are predicting that digital sales may be 50 to 100 percent higher in 2011. However, please don’t despair if you are not a person who loves the look of sleek high-tech gadgets. The Times also reported that some companies are specializing in making high-tech goods look retro-charming. A manual typewriter is reconfigured for use as a U.S.B. keyboard. A landline handset is connected wirelessly to a cell phone using bluetooth technology. A slim new MacBook is zipped inside a case that looks like a vintage leather-bound book. And do be encouraged by the fact that many high quality books are available digitally. The Cuddy-Keane book I mentioned above is available electronically in at least four languages. What’s more, an e-book will never be out of stock. 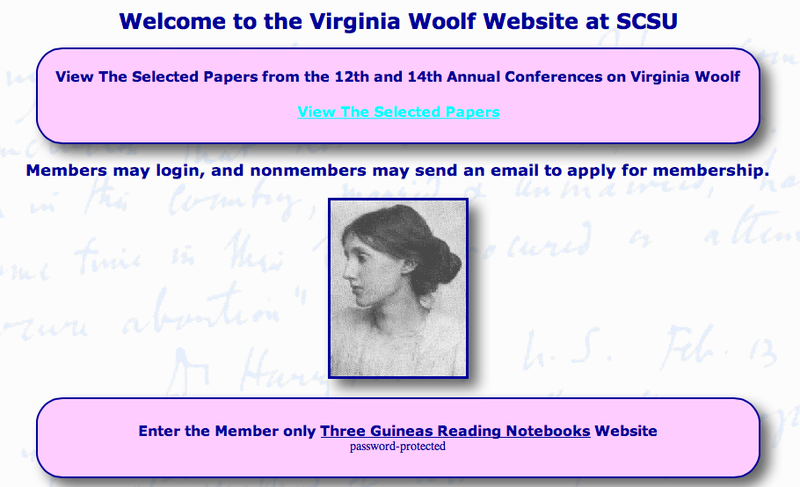 I just found a blog that offers free e-books written by women — or as the blog puts it — by “the gals.” Virginia Woolf is listed among the gals whose works are offered in several formats. Sadly, though, one of her novels, Night and Day, has garnered just two votes from readers. Another, The Voyage Out, has three. So in this momentous election year here in the States, let’s cast our vote for the change we need at the polls and for Virginia online at Girlebooks. Perhaps both ballots will help us move from night to day in this country so we don’t have to take the voyage out.